The occupational multimedia artist Ahmet Ögüt, gallerist Lim Wei-Ling, and I navigate our way past tables overflowing with Kuala Lumpur’s lunchtime mob. We signal the black-aproned waiter, a harried migrant, and smile-mime our table request across the cacophonous terrace in perfect articulation, before sliding onto the red banquette of a table at Yeast, a French-style bistro known more for breakfast and 5pm Happy Bread Hour. But hey, we’re lunching today. Édith Piaf regretting nothing is the background track to the fizzle and hiss, the chatter and clink. 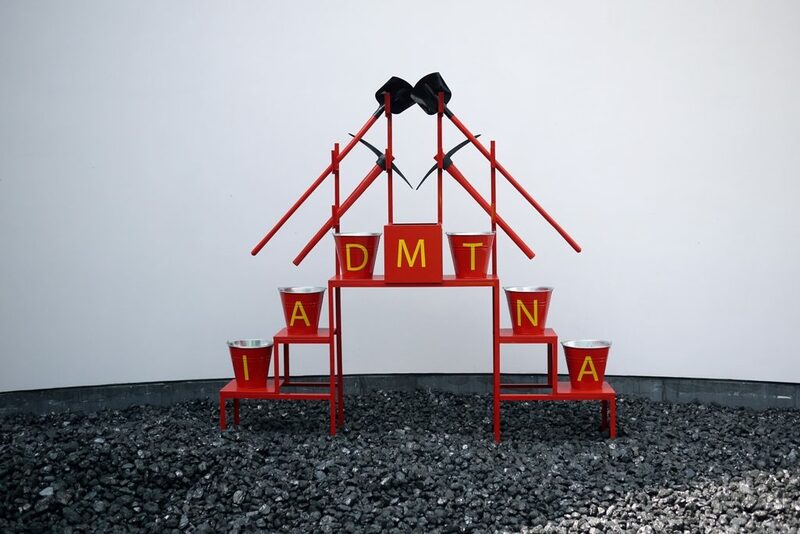 Ögüt, the Turkish-born artist of Kurdish descent, lives and works between Berlin and Amsterdam. He is the founder of The Silent University, a remarkable knowledge exchange platform run with the participation of refugees, asylum seekers, and migrants. 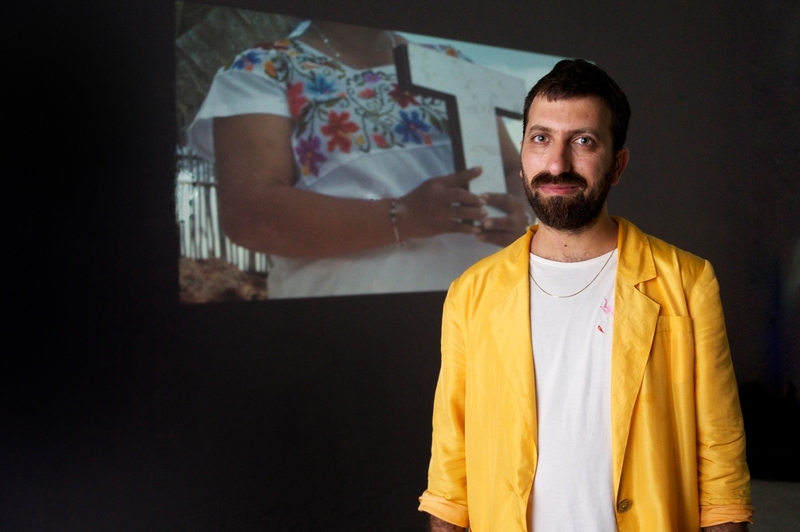 This educational platform began life in 2012 during Ahmet’s year-long residency with the Tate in London. The silence he speaks of is that of those who have had a professional life in their home countries. Who now seek to make new homes in new countries. He harnessed the gifts from these communities – celebrating skills, experience and knowledge across languages, ethnicity and ages; while participants developed lectures, discussions, events, resource archives, and publications. Today, multidisciplinary coordinators of The Silent University find their voices heard in Athens, Stockholm, Amman, Copenhagen, and several cities in Germany; advancing a growing global community. Menus arrive and we discuss the relative merits of pasta before decided we all need to eat more healthily. “How old do you think I am?” Ögüt suddenly asks. “Everyone I’ve met in KL thinks I’m at least 10 years older than I am. I need to look younger,” he says. The 36-year-old is open and engaging and as sunny as the mustard-yellow blazer thrown casually over this T-shirt. He orders a bottle of rosé which pairs perfectly with our conversation. Art flourishes in the wake of these occurrences, of course. Five years after the Fukushima tragedy, 12 Japanese and foreign artists including Ai Weiwei, Taryn Simon, Trevor Paglen, and Ögüt collaborated to “showcase” what might have been the most inaccessible art exhibition in the world, ‘Don’t Follow the Wind’. Ögüt’s contribution was entitled Once Upon a Time Breathing Apparatus for Breathable Air – a Level A hazmat suit customised with pieces of ancient samurai armour donated by a local horseman whose ancestors were feudal samurai warriors. The suit is installed on the ground floor of the horseman’s home within the nuclear exclusion zone. All of the exhibits have been left untouched, to evolve over time, unguarded against the ravages of any encroaching nature. The public will only be able to access this world when the zone is declared safe for habitation. “Opportune timing seems to be a theme in my life,” he laughs. 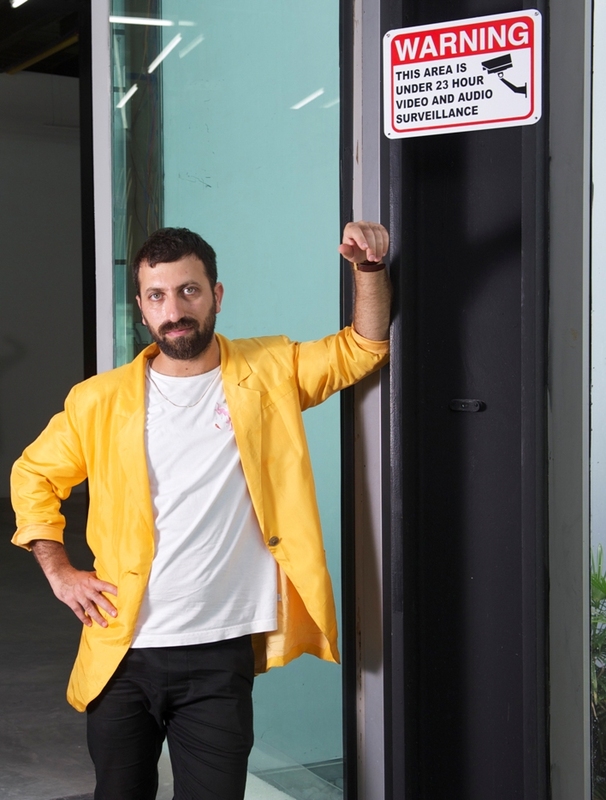 Ögüt is in KL to unveil two installations at Wei-Ling Contemporary, in an important visual showcase by 10 artists intent on pushing boundaries, entitled ‘Seen’. Eerily topical, the installations frame architectural and virtual windows that allow the viewer to ponder the infiltration into the private sphere that persists in modern society. Surveillance technologies are common place in almost every aspect of our lives. Environment is spectacle. From political to playful, issues of social visibility and invisibility are raised in these works by Ivan Lam, James Bridle, Ken Feinstein, Viktoria Binschtok, Heather Dewey-Hagborg, Anurendra Jegadeva, HH Lim, Roger Ballen, Paolo Cirio, and of course, Ögüt. But his installations almost did not make it to our shores. 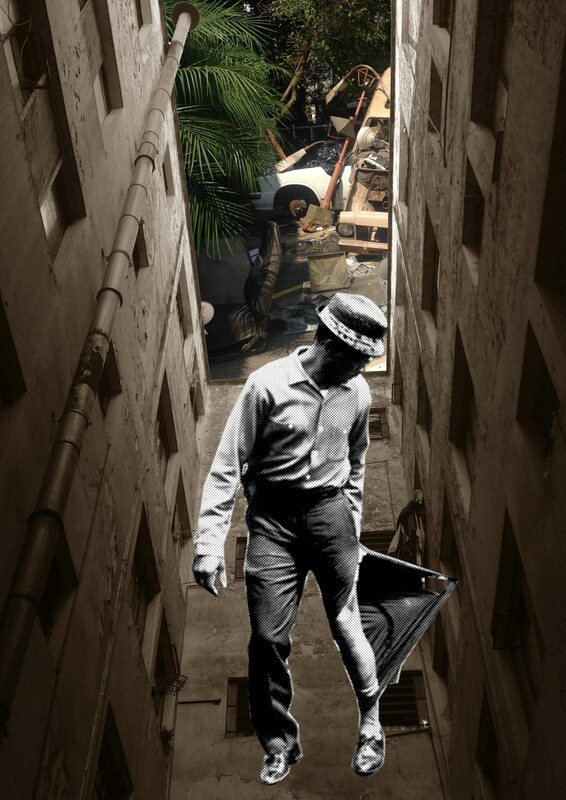 Ögüt was already committed to exhibiting a different piece in Berlin around the same time, with dates in Japan looming. But a charmingly chaotic Skype session with Wei-Ling convinced him to rearrange flights for an extended landing in KL. “I liked what I saw of Wei-Ling’s intentions. Her gallery was making space for a public need. For a commercial gallery to offer the educational service of a public institution… I wanted to be in KL for this. Bienniales aren’t always the locomotives of zeitgeists,” he muses. His first piece, This Area is under 23 Hour Video and Audio Surveillance, is an official-looking sign positioned at the gallery entrance. 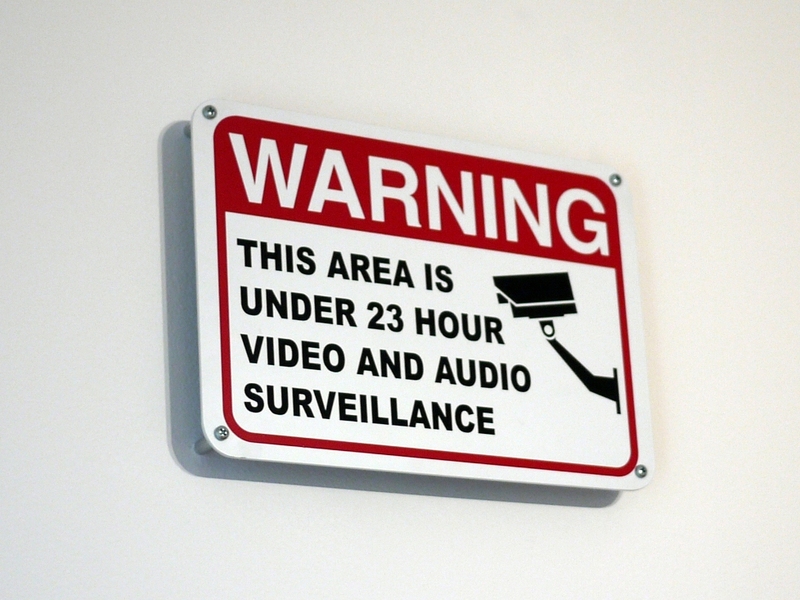 Curiosity may arise from the possible mischief of the missing hour, but often, the sign is actually overlooked as an art installation, showing how normalised the practice of constant surveillance is. The Missing T, a 10-minute video, ostensibly and humorously documents the return of the travelling letter “T” to the municipality sign of Tulum in Mexico. 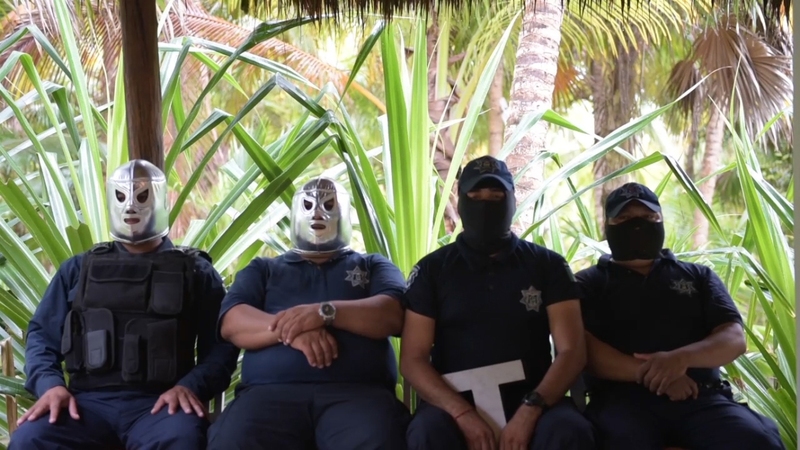 Four recently dismissed policemen wear Mayan masks and are interviewed in a surreal, coded narrative against corruption. What The Missing T ultimately proves is that censorship and surveillance are two sides of the same coin, each thriving in the presence of each other. Our single shared bitter chocolate fondant with ice cream and cappuccinos arrive, and we talk about what art he might create from his serendipitously significant time here. “Political posters always make good collaborative art.” He mentions the covert art of influence. Artists in Turkey were always seen as non-threatening. “Art was almost a passport to observe the world. I had to learn how to be myself in this world.” His grandfather was a Kurdish oral historian. Ögüt was educated solely in Turkish, and realised in losing Kurdish, he would lose significant literature and history. Hence, The Silent University, encourages the use of multiple languages, as with his art. “I’m focused on what is urgent and needed, and this instructs my medium. If a painting is required, I paint. 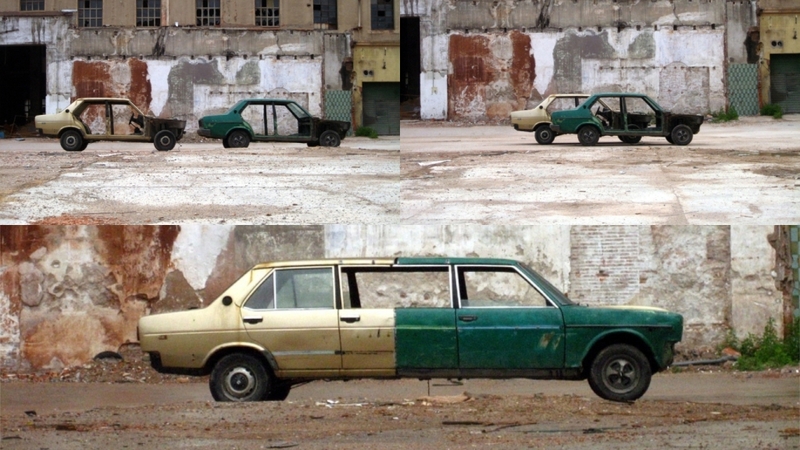 If it’s photography or an installation, so bet it.” His art answers his life questions. There is passion, but also fibre. The major exhibition is showcasing over 500 objects. At New York Fashion Week, Michael Kors made a case for the bold, the beautiful, and everything else in between. Following studies that say half of British workers will not take their full annual leave. Things got lit at Gucci’s latest show.